If you have a Kindergartener or first grader working on addition facts, you will definitely want to grab this fun and free Valentine’s Day printable set! 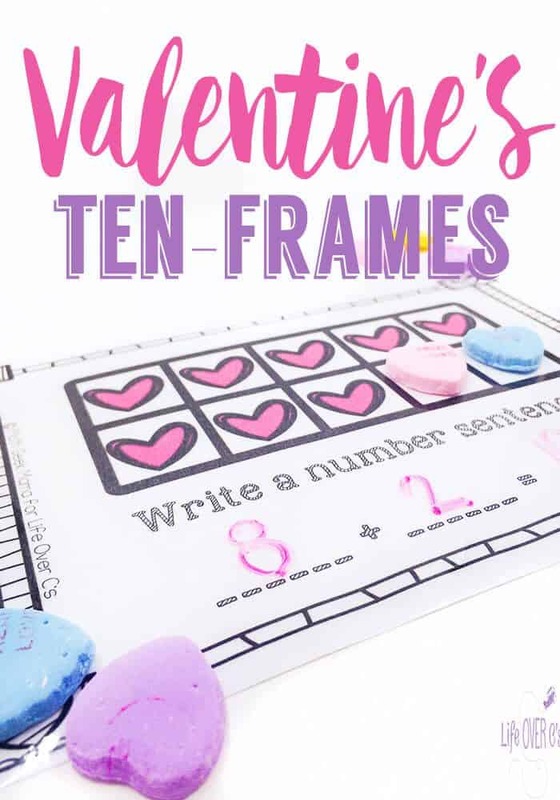 Using ten frames and candy hearts, kids can practice learning and recognizing the number bonds of ten, as well as practice writing numbers and equations. Knowing how to make ten is a very valuable problem solving skill, so it’s important to give kids lots of practice, and help them see the facts several different ways. And few hands-on manipulatives are more exciting for kids than candy! Although you could use any fun manipulative to write number sentences with these conversation hearts ten frames. First, print and cut out the ten frame mats. I suggest printing on card stock and then laminating. That way students can write their number sentences with dry-erase crayon and erase when they are finished. 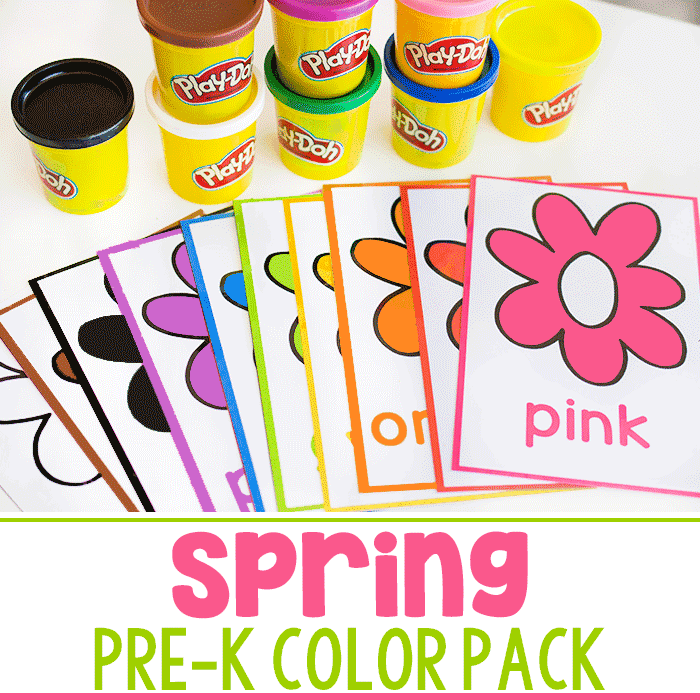 Once the mats are ready to use, give students a mat and a handful of conversation hearts. They then fill in the empty spaces on their ten frame with candy hearts. Using the completed ten frame, they write a number sentence to show one of the facts of ten. 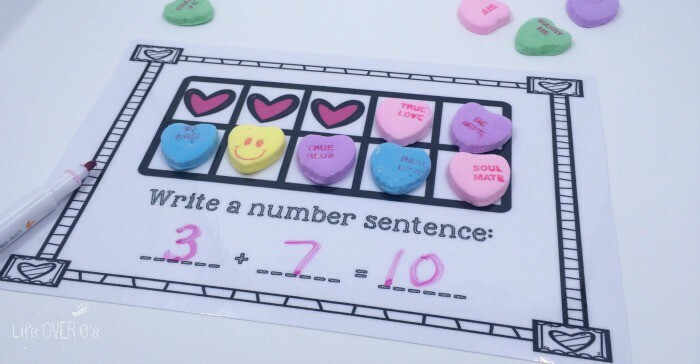 For example, on the mat that has three hearts filled in already, students would place seven candy hearts on the empty squares, and then write 3 + 7 = 10. This would make a fun math center, or partner math activity. 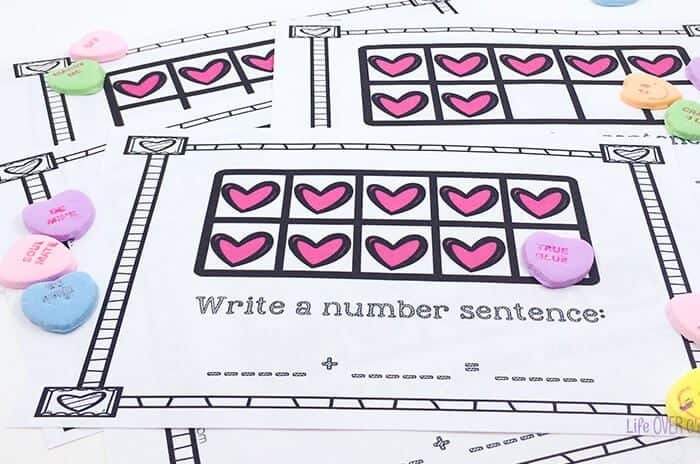 If your students need more practice with all addition facts within ten, you could give them a mat and then have them draw a handful of candy hearts. They could then fill in the ten frame and write a new number sentence. For example, if there are two filled in and they place four more candy hearts on the ten frame, their number sentence would read: 2 + 4 = 6. 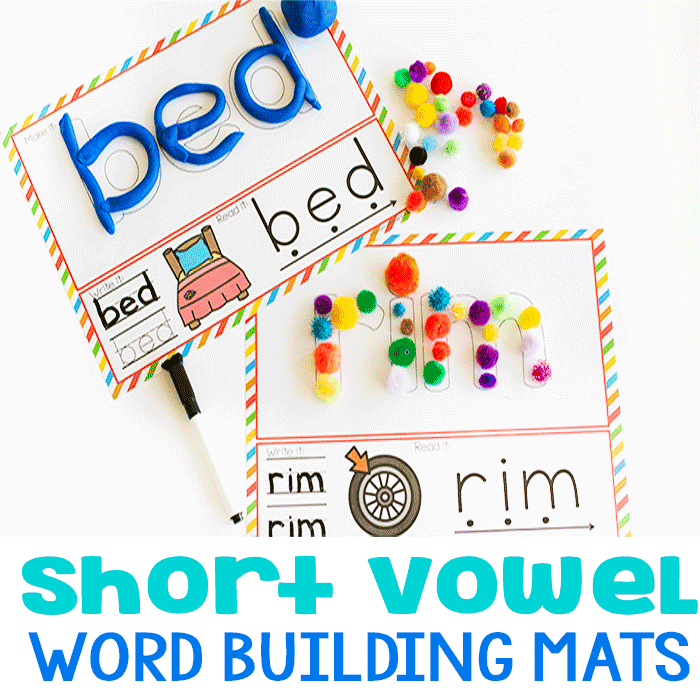 You could also let students work with a partner and have them write a number sentence using the hearts on their mat as well as their partner’s mat. 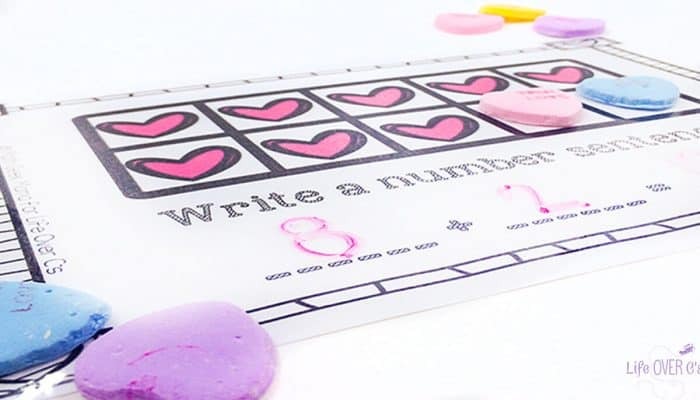 For example, if their mat has six filled in and their partner has three filled in, they could write 6 + 3 = 9, or they could each draw a handful of candy hearts and fill in their mat and use their new totals to write a number sentence. One final idea, especially if you have older students, is to give them a handful of candy hearts and let them fill in their ten frame (either to ten or less). Then have them write a number sentence based on the colors of their hearts. For instance, if there are two filled in, and then they add three pink, two purple and three green, they could write 2 + 3 + 2 + 3 = 10 (either somewhere on their mat or on a separate sheet of paper). 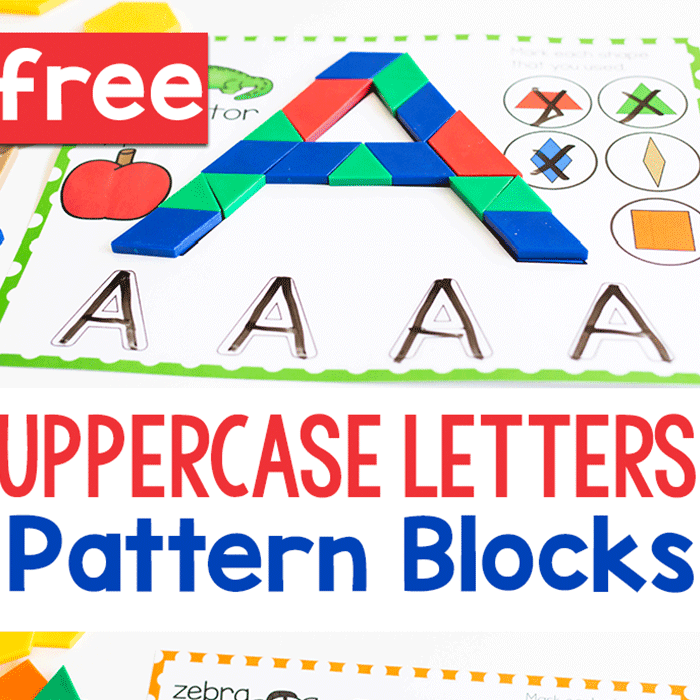 No matter how you use these, I hope your kids have lots of fun and make great progress in learning how to make ten, as well as writing number sentences!